Governor Murphy signed a bill on Feb. 4 to raise New Jersey’s minimum wage to $15 per hour by the year 2024. In this episode, we conclude our talk with John Reitmeyer who, in his role as budget and public policy reporter for NJ Spotlight, has covered the topic extensively. If you haven’t heard part one, listen to episode 9. In episode 10, we talk about the possibility of property tax increases as towns absorb the higher minimum wage; what we’ve seen in other states that have raised their minimum; and what – if anything – John thinks should have been included in the bill that wasn’t. 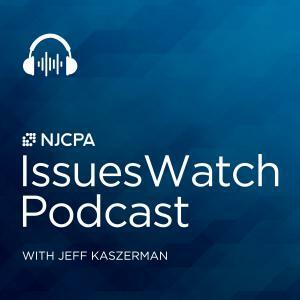 In other news: Legislation to protect members of professional boards is continuing to be pushed by NJCPA | NJCPA proposed changes to New Jersey’s tax code if cannabis is legalized | NJCPA continuing to support a bill that would allow pass-through entities to be taxed on an entity level in New Jersey | Register for our free IssuesWatch broadcast about Gov. Murphy’s proposed budget on March 21, March 27 or April 1.